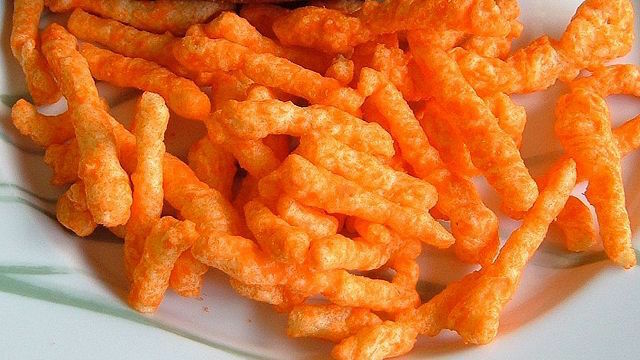 At this point I consider a bowl of crunchy Cheetos an acceptable substitute for a portrait of POTUS 45. They're both bright orange, puffy, and lack any real substance. Unfortunately in some respects this is a disservice to Cheetos, a guilty pleasure to indulge in from time to time despite any real nutritional value, while you can hardly derive any pleasure from a President who is an embarrassment to the United States on the world stage. The six months of his autocratic rule have resulted in a lot of finger pointing about who is responsible for unleashing this Twitter obsessed menace on the masses. I've got bad news for you though -- we are ALL to blame. "I'm not old enough to vote though!" Sorry kid, you're to blame. "I'm not even a U.S. citizen!" Sorry friend, you're still to blame. "Voting is a sham. I don't register to vote!" You're also to blame. You tell me the reason that POTUS 45 is not your fault, and I'll tell you that you are wrong. We are collectively to blame. The world as a whole has spent the last four decades pushing this egotistical loudmouth blowhard into the spotlight over and over again, and no matter how collectively revolted we all were at his words and deeds, nobody ever said no when he was put back in that spotlight time and again. Even when we were served warnings that covering his every obscene act and vulgar display was creating a monster, no one ever stopped to say "NO" to continuing to cover him. Even as the depths of his depravity were put on full display, Trump was savvy enough to stir the pot and get people talking even more. He's the Howard Stern of Presidents - whether they love you or they hate you, just keep them talking about you. They stay tuned in either way. The compilation video below of the idiotic things DJT says has over 11 million views - and it's far from the only one. This is a monster of our own making. At any point we the citizens of the world could have ignored his crass behavior, his absurd reality TV show, his numerous pro wrestling appearances for WWE, his ghost written books, his EVERYTHING. Unfortunately I'm not sure it would have made a difference to ignore him. If you live somewhere with no TV, no internet, and no print media readily available, it didn't make a different - he still became President anyway. I almost said "leader of the free world" but as the G20 summit just made abundantly clear, the United States doesn't lead any more. It doesn't even follow. It stands alone. And now a man who spends more time yelling at the media for how unfairly they are treating him than actually doing the work of being President is actually capable of starting a war with China, Mexico, North Korea or hell EVEN CANADA just so people will keep talking about him. That's all he cares about anyway - not this country - just his own ego being stroked. Even though "Canadian Bacon" was a tremendous box office failure (and truthfully it's a movie that's only funny in unintentional ways) the President who was obsessed with being talked about or cared about rings more true today than it ever did 20 years ago. We could have said no to this but no one reasonable person ever stopped and said "Donald you're just not that important." This editorial and its writer is therefore just as guilty as the rest of you.